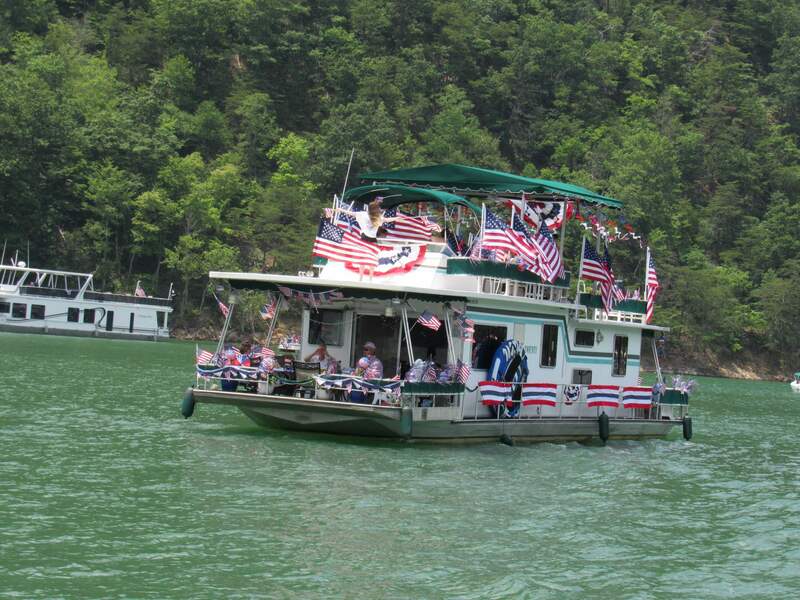 We’re excited for the 17th Annual Boat Parade on beautiful Watauga Lake. The parade is sponsored by Cove Ridge Marina, Fish Springs Marina, Mallard Cove Marina, and Watauga Lakeshore Marina. 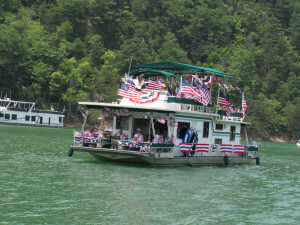 The Grand Marshall leading the parade this year will be Tony and Rosemary Brewer-Clabo on the houseboat “Takin Time.” They won last year’s best decorated houseboat category. The boat of Judges will be making their way to the dam to begin judging at 1:30 pm. If you are participating in the parade, please make sure you are at the dam by 1:30 pm to be included in the judging. The four categories are: Best Decorated Houseboat, Best Decorated Cruiser, Best Decorated Pontoon, and Best Decorated Runabout. The panel of judges will be choosing the most patriotically decorated boats in each category.